Before you can come up with a good strategy for improving your marketing results, you need to have a good idea of where you are. Your website is a key (let’s be honest, the key) component in your marketing strategy. How is it performing? How much traffic are you getting?Are prospects finding you? How much time do prospects spend on your site? What pages are they visiting? Are they engaging with you? How many leads does your site generate? How does your site stack up against your competition? We can actually help you answer a lot of those questions with a quick, complementary analysis of your marketing efforts. The next key step is to have a plan—a strategy—for reaching out and bringing in new leads. Homebuilder marketing isn’t a “one-and-done” type of activity. You need to have a long-range plan with specific goals and objectives and timelines if you want to see success. Here’s a post that looks at that in more detail. Plans and strategies are great, but they really don’t mean a thing unless you put them into practice. You need to execute your plan. That means you either need to have the skills (and time) to create what you need and do it—or you have to get help. A big part of marketing success depends on collecting data from your prospects and then figuring out how to act on the information you gather. You need to figure out your next steps based on how prospects react to the information they provide you—and on the questions they ask.You need to know how prospects are engaging with you. That means you need to understand what data you should be measuring and then understand what next steps you should take. Do I know what kind of response my current marketing efforts are generating? 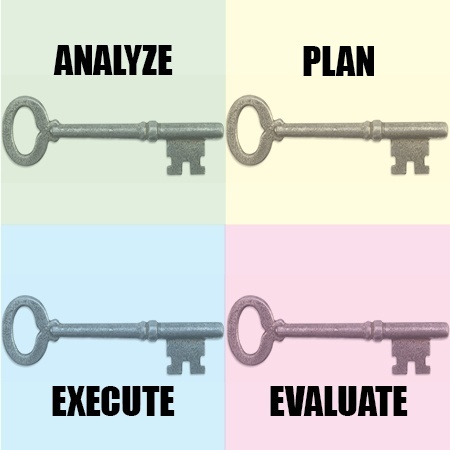 Do I have a specific marketing plan with measureable goals? Do I have the skills, expertise, and time to implement the plans I have? Do I know how to sort through the information I’m gathering and take appropriate steps?